Classic Blackjack is the game of Blackjack where the House has the lowest edge. In this game players may draw up to 9 extra cards, without going Bust, which would make a hand consisting of 11 cards. 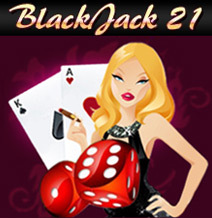 The goal of Classic Blackjack is to get Blackjack / 21 without going Bust or to get the highest hand. Dealer always has to hit on soft 17. - Dealer must Hit on soft 17. - If Blackjack is not obtained then the highest hand will win. - If the dealer goes bust then the player wins. - Surrendering in not an option. - Splitting a pair is allowed but re-splitting is not allowed. - Doubling Down is allowed if the first 2 cards total 9, 10 or 11. - Doubling Down is not allowed on Blackjack. - If the dealer is showing an Ace then you may take out insurance.